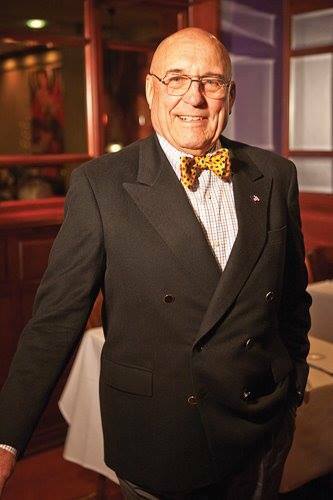 Join us for another special evening with a legendary restauranteur whose family influence spans across multiple generations. Joe Muer is synonymous with classic seafood and fresh fish dishes served in an elegant fashion with a simple preparation. The amical Foundation and the amical chefs will offer a four course menu featuring classic Muer appetizers, entrees and sides along with the man himself. Joe Muer will be meeting and greeting in the dining room while the kitchen turns out his family recipes for your dining enjoyment. Reserve your table for two, four, or six by clicking the link above. Cost is $75 per person for the full menu, soft beverages, tax and gratuity. Cocktails, wine, and beer will be available at an additional cost. Choose one. All entrées served with rice pilaf and Joe’s creamed spinach & stewed tomatoes. Due to the limited selections of this menu, we will not be able to accommodate all dietary restrictions.